A Reliable Wife by Robert Goolrick is a moody gothic tale set in 1907 to 1908. Ralph Truitt, a fifty-four year old wealthy business man from rural northern Wisconsin has advertised for a reliable wife. Catherine Land has answered his personal ad. Catherine is not the simple daughter of a missionary that she claims to be, but circumstances lead them to marry anyway; as the story says repeatedly: "These things happened." In the novel, Ralph is very aware that the winters in Wisconsin are cold, bleak, and depressing - a setting that compels people to commit horrendous, violent acts in desperation. Goolrick does an admirable job setting the dark tone to the novel and the psychological torment the characters are going though. Neither character is precisely what they appear to be. Both of them hold their own dark secrets and reasons for wanting to marry. Although I found parts of the plot of A Reliable Wife predictable, the quality of Goolrick's writing does elevate the book above the ordinary. He has a real gift for setting a mood and elevating the tension between the characters. The longing and sexual tension is palatable in his very real, complex characters. These characters want: they want love; they want to escape; they want redemption; they want hope - but they don't feel they are worthy of any of it. I'm going to have to admit that I found the pacing of A Reliable Wife uneven and inconsistent. At times I did feel a compulsion to read on until I hit parts where it felt flat and repetitious. And, as I mentioned, the plot itself offered no great surprise. It was certainly worth reading. Congrats on the new job! And look, a review posted already. You just do what you can, when you can, and keep it fun. I have A Reliable Wife home to read during the summer, and I hope to get to it very soon. I'll come back and see if I agree with your assessment when I'm done. I'll be looking for your review, Raidergirl! The job will get interesting tomorrow - when the students actually start school! I don't start back to school until September 1, and then the students arrive on the Tuesday after Labour Day. I've seen mixed reviews of this one but I still picked it up -- I'm saving it for a good grey autumn day because I do love a good gothic! 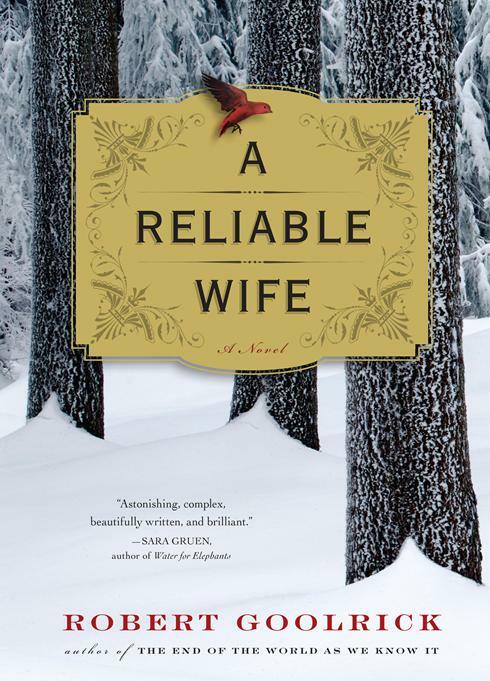 Audra, A Reliable Wife would be a great winter novel... the season would enhance the atmospheric setting.